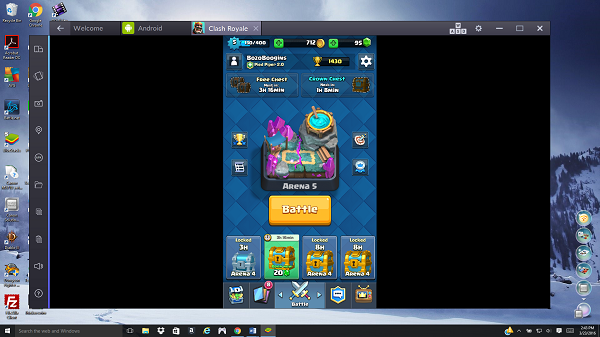 If you love Clash Royale but you just want to enjoy the game with a bigger screen, then you are in the right place! I am going to show you how to get to play this awesome game in big screen!! 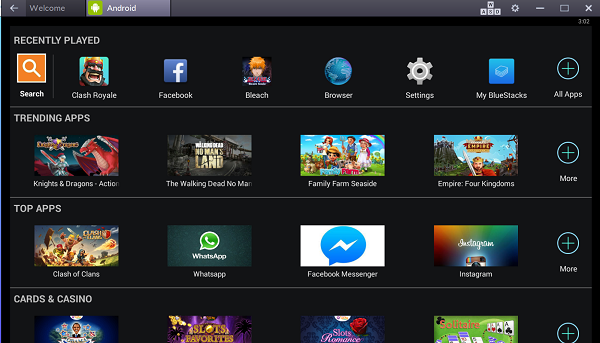 Bluestacks is basically a program for PC/Mac that allows users to play mobile games on there. Think of it as your smartphone on your desktop or laptop. This popular app has 130 million downloads and counting. I personally use this to play most of my mobile games since my Samsung Galaxy s7’s screen is too small for my taste. To download this wonderful program, head over to bluestacks.com to download it. Scroll all the way down for the download button. This is the number 1 android emulator that I recommend. Don’t worry, there is no viruses and it works fine on my computer. Install the .exe file. It is about 280mb and takes a bit of time to download, depending on your internet connection. Upon successful installation, it is time to start up Blue Stacks and start configuring the emulator to play your games. 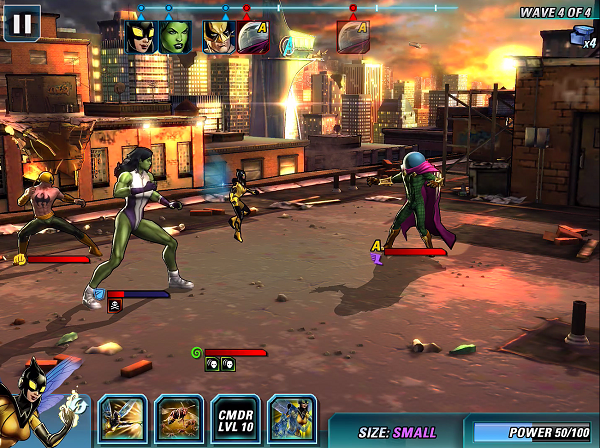 You are going to need to sign in to Google Play to download your favorite mobile games. Some folks are having trouble signing in, so here is a video to help you out. Once you are done with signing in, it is time to search for your favorite games. Click on the android tab located on the top left corner of the screen. You will see a lot of game selection here. If the game you want isn’t there, use the search bar on the top left and type in the game you want. It will direct you to the Google Playstore install page. Once you install the game, you are ready to play! That is about it! Very simple and easy! I had a crash this morning and BlueStacks stopped working. Been using it since February with no problem. Results: still not working. Same problem: Star Wars Force Collection won’t launch. Results: I’m unable to download and install app Star Wars Force Collection. Go to settings on your BS emulator, go to running apps and force stop all google services, then go to ALL apps and clear data/cache of google play, google services and google framework, force stop them, then finally restart Bluestacks, at some point, specifically when you open up the Play store, you should be met with a notification to accept terms and conditions, click to accept and then you will be able to install again without any issues. N.B. Please do not take messing around with your registry (regedit) on your computer as advice, unless you know what this is it is best to stay away as you can cause harm to your computer (software) by editing any of the values. If you encounter more errors, be sure to check out this FAQ page from the official site.